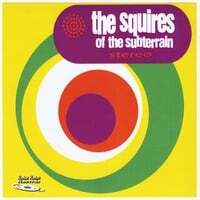 The Squires of the Subterrain-S/T. Christopher Earl and friends are back with another trippy release of psych-pop. Unlike their previous release (Sandbox) which applied their psych-pop to Beach Boys-styled tunes, their self-titled latest finds them trading 60s California for 60s London, with Merseypop delights like "History" and "This Charming Place" and the so-goofy-you-know-what-it-sounds-like-by-the-title "Private Gherkin's Psychedelic Silly Mustache Band". Other highlights include the near-jangly (for them) "Attitude and Altitude", and the piano-based, Beatlesque "If Memory Served". But the real treat here is "From Getting High (to a Higher Power)", which manages to encapsulate the pop styles of the big 3 Bs of the era (Beatles, Beach Boys, Byrds) in one track. This just might be their best album to date. High on Stress-Leaving MPLS. We've been following these Minneapolis rockers from almost the beginning in the middle part of the last decade, so it's sad to hear that Leaving MPLS is the last batch of their Replacements-meet-early-Wilco songcraft. But at least Nick Leet & Co. go out on a high note. "Windy City Endings" (with a chorus reminiscent of the 'Mats "I'll Be You") is a great, tuneful rocker, while "Gimme Truth" might be the closest they've come to a classic power ballad. And the wonderful country-folk-rock of the title track captures their spirit perfectly, ensuring we'll miss them down the line. 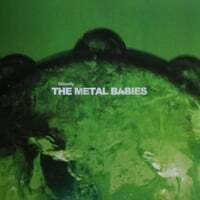 The Metal Babies-Ghostly. Taking their name from a classic Teenage Fanclub track, this Australian band follows up the promise of their 2012 debut EP with a fine full-length. And despite their name, this isn't a TF tribute band but instead a combination of power pop styles from jangle to roots rock. Having said that, opener "Spat" could easily pass for a TF track with its melancholy mid-tempo melody and chiming guitars. It's followed up by the aptly-titled "Great", which is a top-drawer jangle-rock number which starts off smooth and rocks out in the end. Elsewhere, highlights included the lovely "Make a Start", the Replacements-rock of "Explanations" (clocking in at 1:01) and the title track, and the Pernice Brothers-esque "All a Waste of Time". An impressive effort from these guys, and this one should end up comfortably in the top half of my year-end list. Dropkick-Homeward. 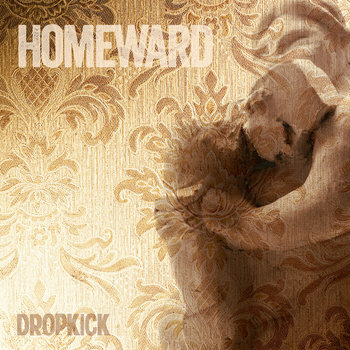 Speaking of bands influenced by Teenage Fanclub, the prolific Scottish band Dropkick return with their annual/biennial release, and Homeward is a fine addition to the canon of brothers Andrew & Alastair Taylor. They don't reinvent the wheel here, so it's safe to say that if you enjoyed any of their previous releases, you'll want this one. Opener "Come Home" has a lovely, laid-back feel that would have been right at home on the latest Autumn Defense album, "Halfway Round Again" jangles like there's no tomorrow, and "Jump Start" boasts a great chorus and organ-based hook. The album closes with the pretty ballad "Carry Me Home", a tune which would make Mark Olson and Gary Louris proud. Already looking forward to the next one in a year or so.